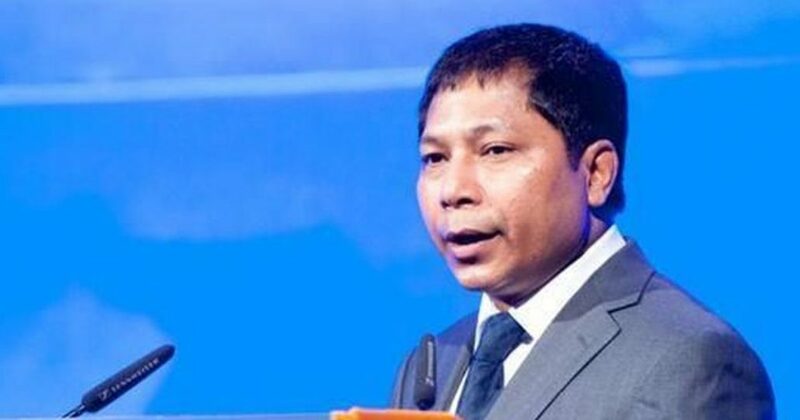 The Leader of Opposition in Meghalaya Assembly, Dr Mukul Sangma has asked the state government to convene a meeting of all political parties to discuss the proposed amendments to the Sixth Schedule already approved by the Union Cabinet on Wednesday. Former Meghalaya CM Mukul Sangma said the meeting of all parties will also decide whether elections to the KHADC and JHADC should be postponed by extending the tenure of the two councils so that the amendments could be implemented. The elections to the two councils are scheduled to be held on February 27, 2019. The “agreed text for settlement” was inked in New Delhi on September 24, 2014, between the ANVC and ANVC-B and the Centre and Meghalaya government and both the groups were formally disbanded at a public ceremony at Tura in West Garo Hills district on December 15 the same year. “It is only appropriate to refresh our mind as how long and how meticulously we had to work on to come out with the comprehensive memorandum of settlement leading to the disbanding of the ANVC and ANVC-B,” Mukul Sangma said. He also stated that the Centre was expected to complete the process of amendment and assured the state government then, even requesting the state government to postpone the scheduled election to the GHADC to which the state government complied. However, Sangma said it was seen that the Union government was moving slow (on the amendment) and on a number of occasions, displeasure about the delay was expressed by the stakeholders and the people. “I congratulate the people for their resolve and patience- better be late than never,” he said. The Union Cabinet on Wednesday approved the proposed amendments to the Sixth Schedule. Among others, the amendments will fulfil the commitments made under tripartite Memorandum of Settlements signed by the Government of India, state governments of Assam and Meghalaya, United People’s Democratic Solidarity (UPDS), Dima Halam Daogah (DHD) and Achik National Volunteers’ Council (ANVC). The amendments propose to rename the existing autonomous councils as Karbi Anglong Autonomous Territorial Council (KAATC), Dima Hasao Autonomous Territorial Council (DHATC), Garo Hills Autonomous Territorial Council (GHATC), Khasi Hills Autonomous Territorial Council (KHATC), Jaiñtia Hills Autonomous Territorial Council (JHATC) and Tripura Tribal Area Autonomous Territorial Council (TTAATC) as the present jurisdiction of these Councils extend to more than one districts. There will also be increase in seats in KAATC, DHATC, GHATC, KHATC and JHATC.